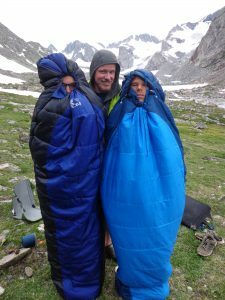 Buying a Sleeping Bag: How hard can it be? Photo courtesy of Outdoor Gear Lab. Can’t be that hard to find a sleeping bag right? 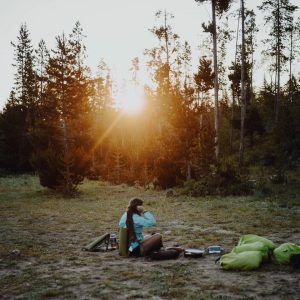 You just choose a temperature rating that will get you through your backpacking season and pick something within your budget. Seems easy! Well, not quite. A sleeping bag is fairly simple technology but understanding how to get the right bag can be complicated. It can even be hard to know what you want until you know what is available. The first problem is that some manufacturers rate their sleeping bags using different criteria. They are motivated to offer the warmest and lightest bag possible for the money. 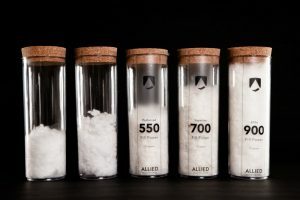 Some choose to rate their bag in a way that supports their marketing efforts. Due to these problems standards have been introduced but are not yet universally accepted. 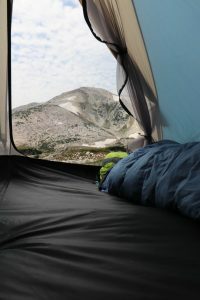 The first standard, EN 13537, was introduced in 2005 and specifies how to test and rate sleeping bags. In 2017, ISO 23537 replaced EN 13537 and further refined the requirements. Some large retailers like REI have chosen to enforce this by only selling bags tested according to these standards. This is good news! It is easier than ever to find an EN 13537 / ISO 23537 sleeping bag at your local outfitter. Selecting a bag with an EN 13537 / ISO 23537 rating ensures the bag meets industry standards for warmth. Example if a sleeping bag rating is 0 Degrees F/-17 Degrees C, it’s lower limit is -5 Degrees F and it’s comfort rating is 9.5 Degrees F.
Above the highest, or “comfort”, temperature is the range where most women will be comfortable. Like in our example, this would be 9.5 Degrees F.
From the “comfort” to the middle number is the “transition”or “limit” range they expect most men to begin getting cold. In our example, this would be 0 Degrees F or the promoted temperature rating. The “extreme,” “risk,” or “survival” range extends down to the lowest number. In this range the occupant will likely be actively fighting the cold, shivering, and may be susceptible to hypothermia but will probably survive. Below this range you are in serious trouble. When shopping for your sleeping bag it is helpful to know how warm or cold you sleep. As a starting point men tend to sleep warmer than women. A warm sleeper may be comfortable at the “transition” or “limit” temperature where a cold sleeper may feel chilled near the “comfort” temperature. Your shelter and sleeping pad will also influence how warm you sleep. If you get cold easily you are likely a cold sleeper. Research the nighttime lows in the area you plan to explore. If you plan to be out on an extended trip prepare for weather that is colder than average. It is easy to cancel a weekend trip when the weather turns but if you are deep in the wilderness you will want the extra warmth to stay safe and comfortable when nearing record lows. You should be able to buy a bag with the “comfort” rating at or below these temperatures. If you are a warm sleeper you may be able to get a lighter, less warm, bag. Great! So I’m ready to buy a sleeping bag right? Not quite yet. There are a few more considerations. Now that you know the temperature range you need to be comfortable for your trip you need to decide what size, shape, fill, and features you need. The one most people talk about is fill. 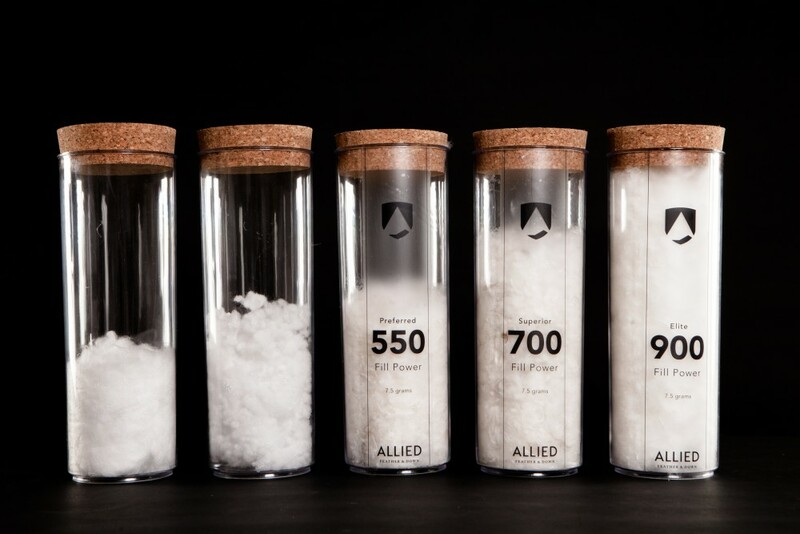 Fill is what provides the insulating properties of the bag. There are two main camps: down and synthetic. 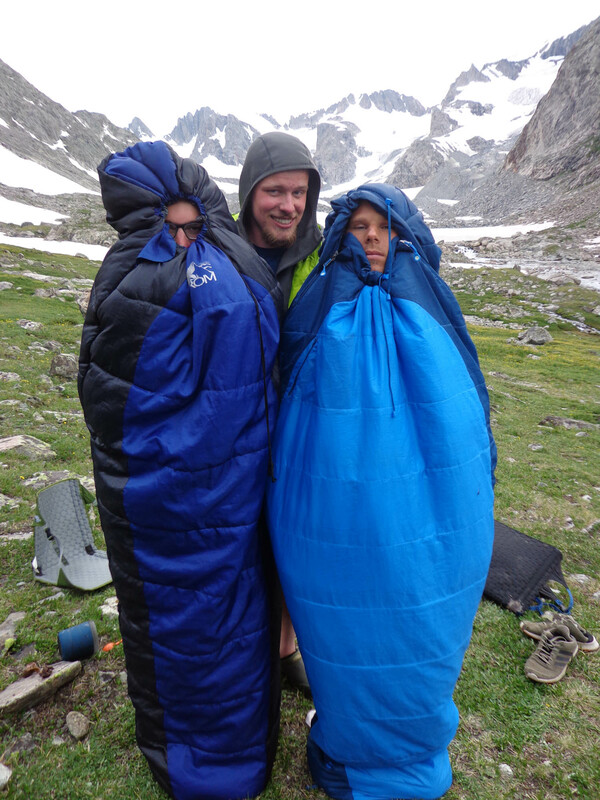 Synthetic fibers are heavier, less durable, and less compressible, a highly compressible sleeping bag packs smaller. Down on the other hand is lightweight, compressible, and durable. That seems obvious enough down is better right? Well, down also has some disadvantages. First, it tends to be more expensive, and second when down gets wet it no longer insulates at all. Conversely synthetic bags preserve much more of their insulating properties when wet. 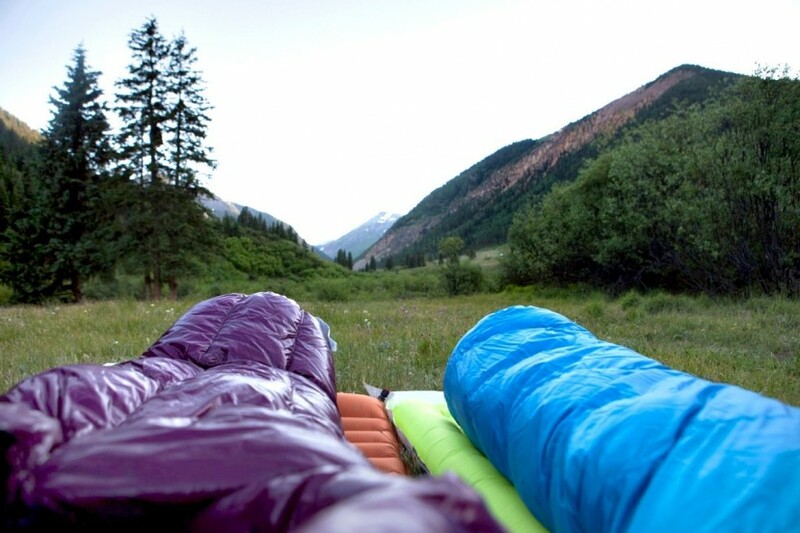 With this in mind the ideal sleeping bag is the one that matches the environment. Backpacking in the coastal ranges of pacific northwest you may want a synthetic bag due to high humidity and frequent rain. Backpacking in high desert of Wyoming a down bag is more appropriate. Synthetic insulation is rapidly improving and some of the new bags are getting fairly close to the performance of down . A high end synthetic 20℉ sleeping bag will be around $200-$300. An equally warm high end down bag may be as much as $500 or more but will be lighter and smaller to carry. There are cheaper options and prices of down sleeping bags generally correlates with the fill power of the down. Higher fill power down will be warmer per ounce of fill and more expensive. A high end 850 fill power sleeping bag will be lighter and smaller packing than a standard 650 fill power bag of equal warmth and size. I personally find the high fill power bags to also be more comfortable. Sleeping bags come in sizes? Why yes they do! Length and girth vary within and between models. Generally it makes sense to buy the smallest bag you fit in but some people prefer having extra room to move around in their bag. For winter camping it is nice to have extra room to keep clothing, water, boot liners, etc. warm for the morning. Smaller form fitting bags will be lighter but also may restrict your movement. Find what is comfortable for you. There is always a trade between pack weight and in camp comfort. Some bags will also have features such as a phone or watch pocket to keep your alarm near you during the night and others allow two bags to be zipped together. Women’s bags tend to be a little warmer at the feet and are wider at the hips. Many cold weather bags have additional features to prevent cold air from leaking into your bag and most cold weather bags, as well as some summer bags, have waterproof, or highly water resistant, shells to protect the insulation from moisture. Can I buy a sleeping bag now? Yes, go! Frolic to your favorite outfitter and examine some of the bags that may meet your needs! Is it EN / ISO rated? If not, am I still confidant it is warm enough? Does it have enough room? Will it take up too much room in my pack? Does down or synthetic make more sense in my area? You may not find the perfect bag but it should be easy to find one that will work. Everybody would likely love the $500 sleeping bags but most of us can get a good bag for less than $200. Is the lightweight and extra features worth the money? That is completely up to you, but as someone who spends a lot of time in a tent, my sleeping bag is one of my most important pieces of gear. My bag is extremely lightweight yet warm. This allows me to carry extra equipment, like a heavy camera while maintaining a reasonable pack weight. 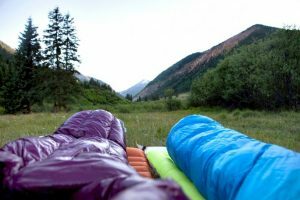 Alternatives and oddities: There are now options on the market that differ from traditional sleeping bags. There are some with no hood to save weight. Some have no insulation on the back of the bag but allow a sleeping pad to be inserted. 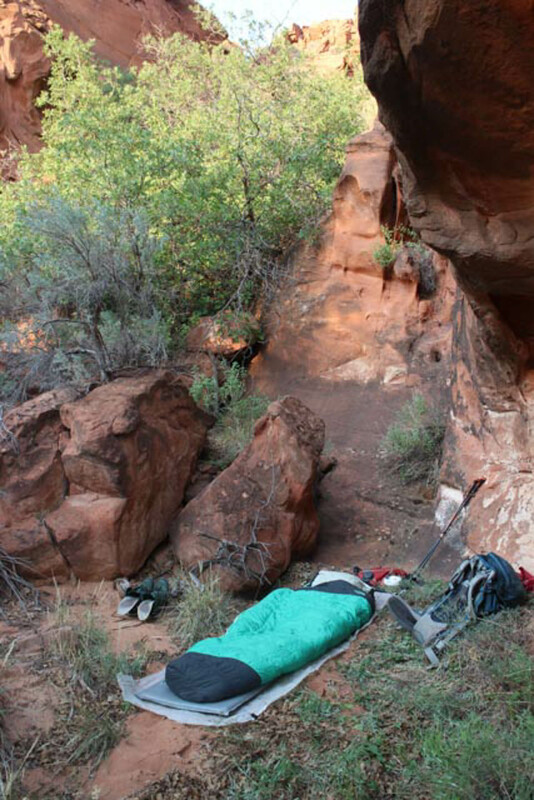 Some people prefer to use a lightweight quilt instead of a sleeping bag. For most people a standard bag is the best bet, but all of these are viable options in their own right.